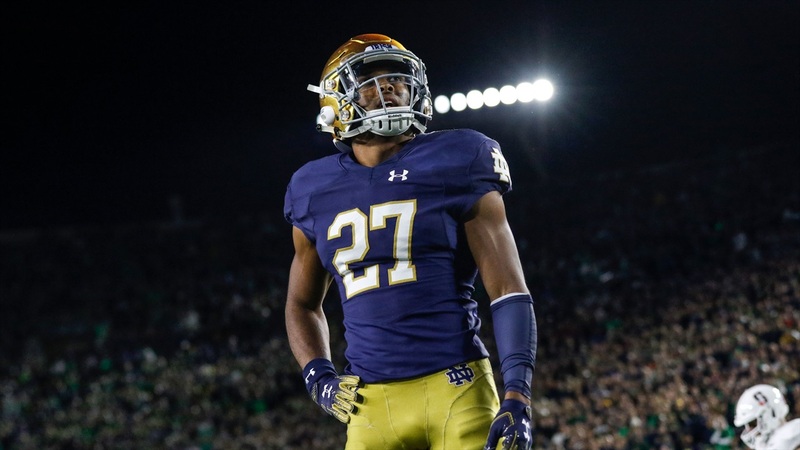 Notre Dame cornerback Julian Love has been named a Walter Camp first-team All-America which is also the first of five All-American teams that count toward being a consensus and unanimous All-American status. The 5-foot-11, 193-pounder had a stellar 2018 as Love registered 61 tackles, one interception and returned a fumble for a touchdown. Love is in a category by himself when it comes to productivity. The junior cornerback is the only defensive player in the country to record at least 10 pass breakups (15) and two fumble recoveries (3). The Chicago native is also the second-highest rated cornerback according to Pro Football Focus, and only three cornerbacks have had a higher rating since 2015. Love also holds the school-record with 38 career pass breakups. Georgia’s Deandre Baker beat out Love and LSU’s Greedy Williams for the Jim Thorpe Award on Thursday night which is given to the nation’s top defensive back.